Hindu Society President 2017-18, Divyansh Dixit, comments, “We’re absolutely delighted with the win and the chance to represent Southampton in the final for the 2018 competition. Hopefully we can make everyone proud and bring the trophy back! We would first and foremost like to thank the countless people who helped us reach the 2100-odd total [Facebook likes] we ended up with. We’d also like to encourage as many people to come and audition near the end of 2017 to take part in next year’s competition – we had a team with plenty of people who took on Bollywood dance as something brand new, and not one of them have looked back since! Make sure you give it a go if you love to dance”. The team were offered the chance to enter the Facebook like competition after narrowly missing a place at the semi-finals, held at the Hammersmith Apollo in March. A group of eighteen students made up the energetic team, who competed against 23 other Universities at the competition last month, following three months of rehearsals. 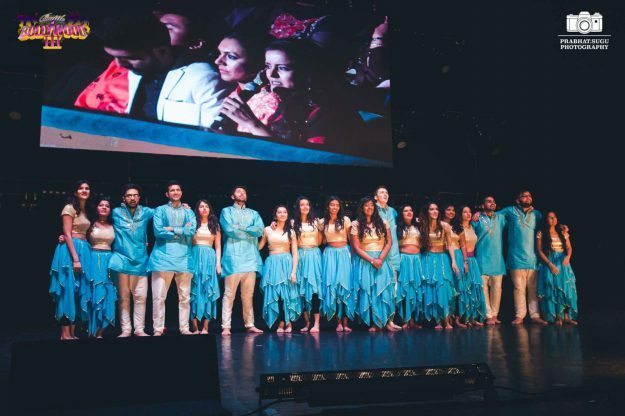 Prior to the competition, we caught up with the society’s Team Captain and former Hindu Society Vice-President, Karishma Patel, who commented, “We really pulled together as a team and they worked so hard to perfect the routines. On the day, we didn’t qualify for the final round, which is a shame because they deserved a place. But they put 110% into the performance and, as their captain, I could not be prouder! Now is our second chance to take our place in the final round of next year, so fingers crossed we win!” We bet Karishma is delighted with the result! If you’re interested in finding out more about Hindu Society, you can access their student group page on our website at www.unionsouthampton.org/groups or contact them directly via their Facebook page.